It would be easy to say Francis Jocky is an R&B /Soul musician and not lie, but it wouldn't draw a complete picture of the man's abilities or his scope as a musician. For sake of comparison the first two artists that sprang to mind as I listened to Mr. Pain were Joan Armatrading and Nina Simone. As I listened further I realized those similarities resulted from the fact they all approach their music in the same manner. He uses simplicity of lyric and repetition to emphasis a point rather than melodramatically emoting in a vocal range well beyond comfort for himself and his listener. On the song "Tell Me Why", which questions the values of people who would let children starve to death while they seek personal fortunes, the lines "Tell me why, tell me why, tell me why" are followed by "must they cry, must they cry, must they cry." The way they are sung elevates them beyond their simple appearance on paper and pulls the listener into the depths of the questioner's despair and frustration. 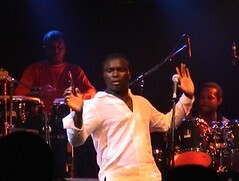 Those qualities are rare enough in popular music they should be celebrated and encouraged whenever they are encountered. 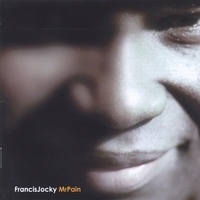 Mr Pain by Francis Jocky is just such a find. As of now the disc is available through his web site, CD Baby, My Space and iTunes. You can either download the disc or order a hard copy. My own personal recommendation for a song as a download that will give you an indication of his abilities would either be "Song Of Freedom" or "Down Slow." Listen to them both and you will begin to see the true breadth of talent that is contained within Francis Jocky.